The Peace Country Wolves Athletics Club was formed in November 2010 as the third iteration of a Grande Prairie track and field club. The roots of the club can be traced to Grande Prairie Legion Track Club in the 70s and the Wapiti Striders in the 80s, 90s, and 2000s. 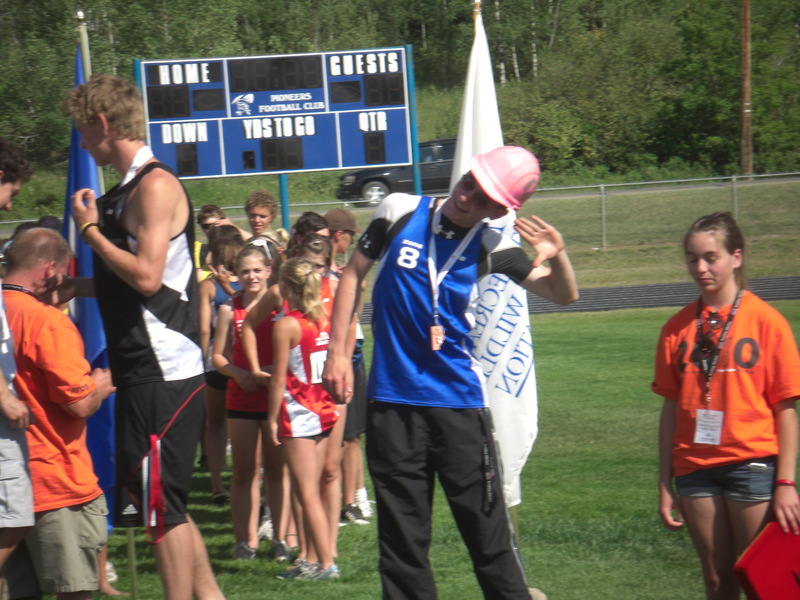 In addition, the Peace Country Track Club had a brief run from 2006 to 2010. Currently the club is mainly focused on cross country and middle/long distance running for high school and college-aged athletes. If additional coaches can be recruited, the age and event range of the Club will be expanded. Contact Bill if you’re interested in coaching. Track and field in Grande Prairie has a long and proud history. In the early 70’s, four-time Canadian Decathlon Champion (1976,77,78, and 79) Zenon Smiechowski represented Grande Prairie Composite High School in provincial competitions. Smiechowski made a number of national teams including the 1978 Commonwealth Games in Edmonton. In the later 70’s, Bill Turnbull coached the Grande Prairie Legion Track Club. The GPLTC was noted provincially for hosting one of the largest indoor meets in Alberta every year in the old Memorial Arena. In addition, the GPLTC organized a number of x-country and road races including the Daily Herald Tribune Press Run which was established in 1976. The Club had a number of great athletes including sprinter Sunil Joseph, middle distance runner Kim Jeffery , and distance runners Terry Smith, Brian Harms, and Andy Beal. Jeffrey was a provincial high school record holder in the 800m and represented Alberta in the high jump at the 1977 Canada Games in Newfoundland. While The Striders were primarily focused on the local road running scene, it had a few athletes who represented Grande Prairie in provincial road racing and x-country competitions. Some of the more notable athletes were Brian Harms, Terry Smith, Bill and Marlene Corcoran, and master’s runner Ken Haley. Smith placed second in the 1988 ACAC Cross Country Running championships. During the 90s, the state of the Legion Track became run down. Largely as a measure to repair and improve the track, Andy Beal led a group that successfully bid for and then hosted the 2000 Alberta Summer Games. When the renovated track was opened in 1999, the Striders decided to form a separate track club to organize and promote youth track and field. Many of the first members of the Wapiti Striders Track Club came from the Wapiti Junior Striders – a kids running club that Andy Beal had started in the mid 90s. Bill Corcoran was the first coach of the Striders Track Club. The first major undertaking for the Striders Track Club was to organize the track and field competition for the 2000 Games. The event went very well. With the legacy equipment left over from the Games, the Club went on to host a number of local and regional meets including the high school Zone Championships and Alberta Summer Games Trials. In May 2003, the Peace Country Classic/Grande Prairie Hershey Meet was established and remains an annual fixture on the provincial track and field calendar. 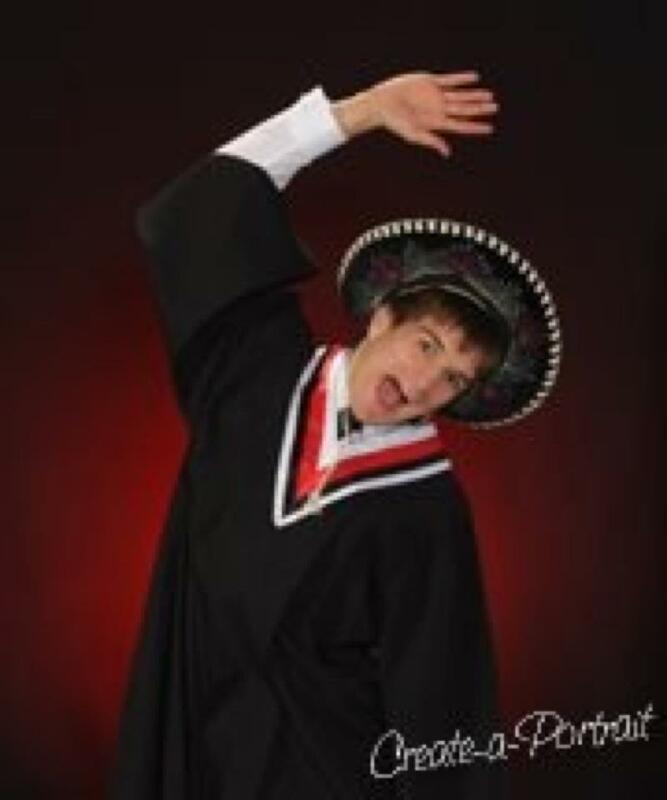 Fred Setterington – Freddy moved to Grande Prairie in the fall of 1998 to run and play badminton at GPRC. He quickly made his mark as a longer distance runner capturing the Gold medal in the 10,000m and Bronze Medal in the 5000m at the 1999 Western Canada Games. He also won a bronze medal at the 1999 Canadian Junior Track and Field. Championships. Freddy moved to the University of Alberta in the fall of 2000 and ran varsity track and x-country. He represented Alberta in the 2001 Canada Games in the 5000m and the 10000m. After graduation, Fred returned to the Peace Country and re-focused his athletic efforts on the 800m and 1500m. He won a number of provincial indoor and outdoor titles at these shorter distances and gained selection to Team Alberta for the 2003 Western Canada Games. In 2004, he made the final in the 1500m at the Canadian Olympic Trials. Jenna Huber – An all around athlete, Jenna started to seriously focus her energies on running in the summer of 2000. Her first taste of major success came at the 2000 Alberta Summer Games where she captured three gold medals (800, 1500, and Medley Relay.) 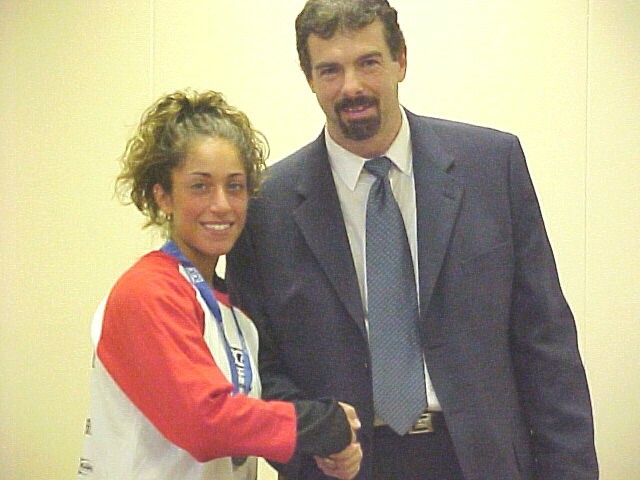 In Summer 2001, success came on the national stage when she captured the Gold Medal at the National Legion Championships at 3000m and the Bronze Medal in the 1500m. Jenna kept on rolling from there winning the provincial high school and provincial Junior cross country championships in October 2001, the provincial high school 1500 and 3000 titles in June 2002, and, most impressively, the National Junior Championship gold medals in the 5000m and 3000m in July 2002. Jenna went on to the University of Nevada in Reno after graduating. She ended up setting a number of school indoor and outdoor records in the 3000m, 5000m, and 10,000m, including a time of 16:41 for 5000m. Tori Dixon – The pride of Beaverlodge, AB, Dixon was the provincial high school 100m hurdles champion in 2003. She also represented the Striders twice at Junior Nationals in the 100m hurdles. Kyle Reynolds – Better known as a curler (Kyle is a two-time world junior champion lead), Reynolds executed perhaps the greatest upset in Peace Country running history when he won the 2004 CCAA Mens X-Country Running title. Reynolds outleaned Augustana’s Carl Skinstead for the win in a thrilling finish. Two weeks earlier, Skinstead, and Lethbridge’s Dave Burden, soundly beat Reynolds at the ACAC Championships. Apart from his CCAA win, Reynolds had a few top 10 finishes at the provincial high school x-country championships, and won a few minor medals at both the Alberta Summer Games and provincial high school track and field championships. Bill and Marlene Corcoran – The duo won a number of provincial masters track and field titles in the early 2000s. Bill was the 2003 M40 800m National Champion. Penny Thompson – A great all around endurance athlete (cyclist, mountain biker, x-c skier, biathlete, and triathlete), Thompson finished second at the National Masters Cross Country Championship in Vancouver in 2006. 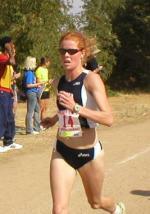 She also placed 4th at the 2004 CCAA National Cross Country Championships and 5th at the 2005 CCAA race, a race she likely would have won had she not injured herself during the ACAC Championships two weeks earlier. When she wasn’t doing other sports (see above), Penny dominated local cross country running and road races. Sadly, she was killed in a cycling accident in September 2007 at the young age of 36. The Carias Kids – Rigel and Deneb – Hailing from the track and field hotbed of Grimshaw, AB, the Carias kids set a whack of NW Zone records in their career. The siblings were a fixture on Team Alberta for the National Legion Championships for a few years – Rigel won the silver medal at Legions in the shot put in 2005. Both siblings were Alberta High School champions in their careers – Deneb in the 3000m and Rigel in the shot put and both ran x-country for the GPRC Wolves. 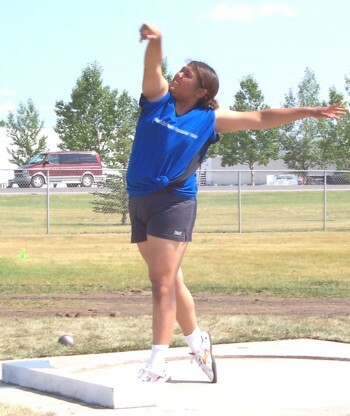 In addition, Rigel was named to Team Alberta for the 2007 Western Canada Games (bronze in the shot put) and for the 2009 Canada Summer Games. Wynand Nel – Like Jess Schmidt, Nel too played basketball at GPRC, but unlike Schmidt, at 6’7″, height was not a limiting factor for him in hoops. None the less, he traded in his high tops for spikes in January 2008 and managed to win the next two Alberta Indoor Provincial Championships in the 400m. In July 2009, he surprised everyone by cutting 1.5 seconds off his previous best time in the 400m at the Alberta CSG Trials and qualified for Team Alberta. At the 2009 Canada Summer Games, he was part of Alberta’s silver medal winning 4 x 400m team. Nel went on to compete for the University of Alberta in the Fall of 2009. After the milenimum, the running landscape continued to evolve in Grande Prairie. Bill Turnbull, the driving force behind the Wapiti Striders Road Running Club, retired from teaching and moved to Onoway in 2002. The Grande Prairie to Beaverlodge Marathon ceased operation but the other local road races were kept alive by the Wapiti Striders Track Club. Eventually, a new group, the Grande Prairie Run Walk Club, was formed to replace the Wapiti Striders Road Running Club. They took over the local road races and continue to operate them. In November 2010, the Wapiti Striders Track Club decided to re-brand itself as the GPRC Wolves Athletics Club . Given the strong relationship over the years between the College Wolves X-Country team and the Striders Track Club, changing identities made good sense. College coaches Bill Corcoran and Rick Scott became the first two coaches for the GPRC Wolves Athletics Club. 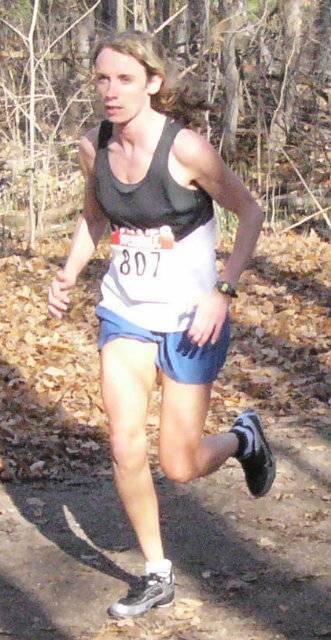 Fiona Benson had the honour of being the first athlete to represent the new club at the 2010 Canadian Junior Cross Country Championships. 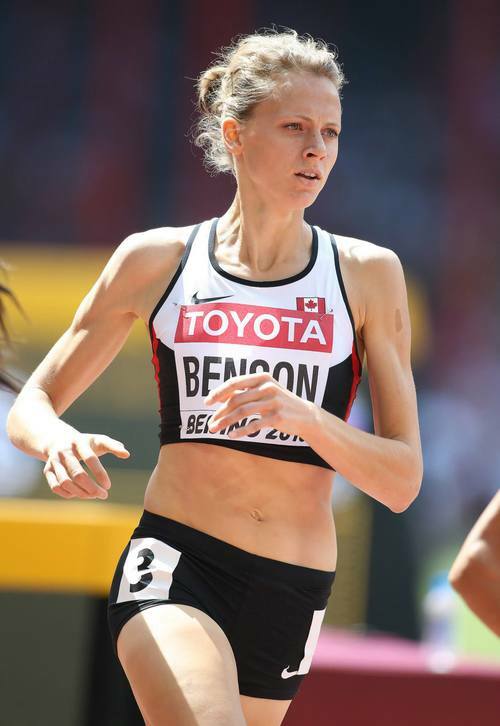 Benson did not disappoint, finishing 7th and qualified for Team Canada – the first ever Peace Country athlete to make the National Cross Country Running Team. As a member of the national team, Fiona won the silver medal at the 2011 NACAC Junior X-C Championships in Trinidad in February 2011 and finished 64th at the 2011 World Junior X-C Running Championships in Spain. Fiona moved on to Trinity Western University in Langley, BC in the fall of 2011, and her athletic career continued to progress. During her time at TWU she won a number of CIS medals in indoor track including golds in the 1000m (2014) and the 1500m (2015). 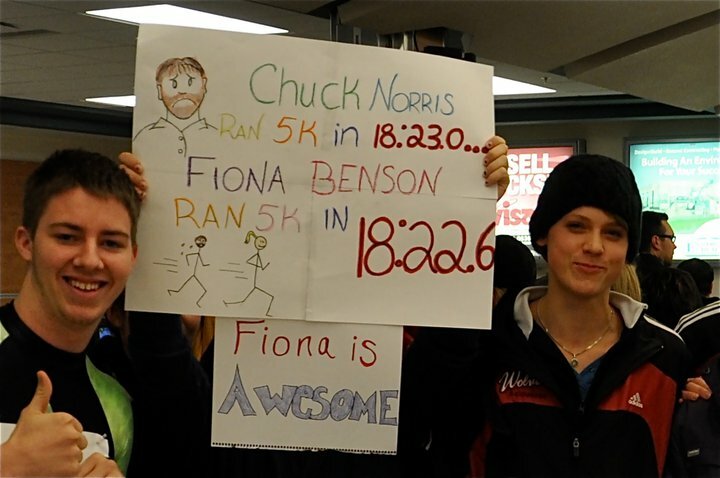 The 2015 season, in particular, was a breakout year for Fiona as she again represented Canada in March at the 2015 IAAF World Cross Country Running Championships in China, this time as a Senior. In May, she shocked the Canadian track and field community by running 2:01 in the 800m, a seven second personal best. After that, she kept rolling winning the Canadian Championships in the 800m, achieving the 2016 Rio Olympic standards in both the 800m (1:59) and 1500m (4:05), running the #10 time in the world in 2015 in the women’s mile (4:25), and making the 800m semi-final at the 2015 IAAF World Athletics Championships, again held in China. Back on the home front, the Wolves Athletics club developed a number of good high school and college runners in the 2011-15 timeframe. 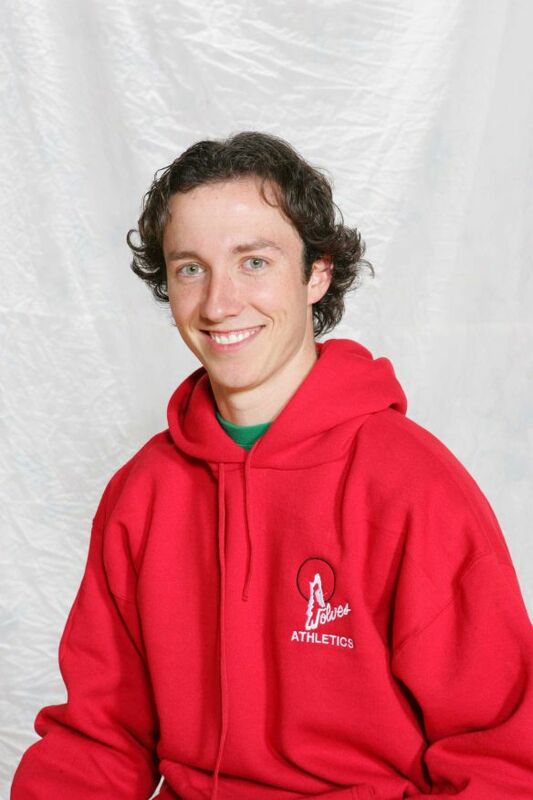 Hythe’s Hayden Hollowell won an ACAC Indoor 1500m Championship in 2014 and was named GPRC Male Athlete of the year. Joren Manz had a bronze medal in the 400m at the 2012 Alberta High School Championships and went on the run for the University of Alberta. However, as good as these two gentlemen were, a young woman from St. Joe’s High School put the provincial and national spotlight on Grande Prairie with some spectacular performances. Mirelle “Big Mir” Martens demonstrated that she would be a force to be reckoned in Grade 11 when, in her first track race ever, she took down Jenna Huber’s iconic Senior Women’s NW Zone High School record, clocking a time of 4:59 for 1500m. Martens went on to take the gold in the Provincial High School 3000m that spring. In her Grade 12 year, she captured the Provincial High School Cross Country Championship, and then defended her 3000m in June. 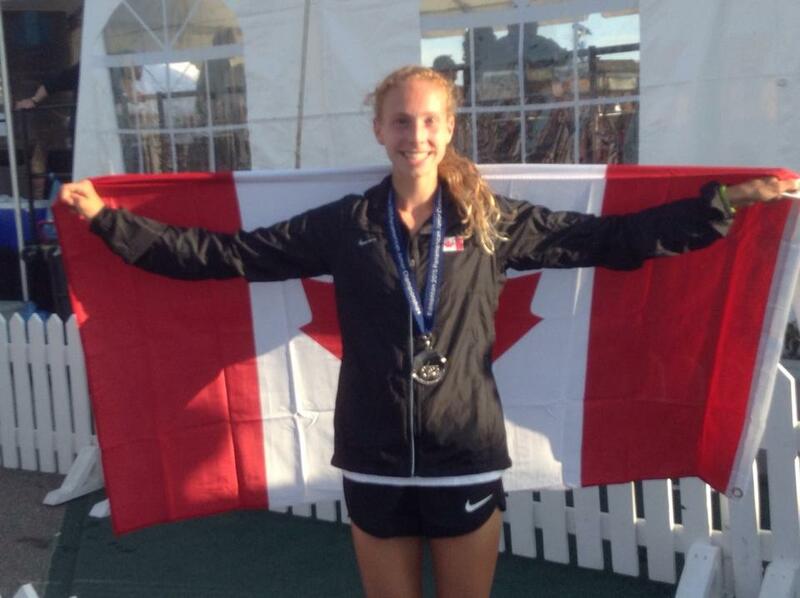 Martens really hit her stride in 2014-15 winning both the ACAC and CCAA Individual Cross Country titles, placing 3rd in the Junior race in the 2014 Canadian Cross Country Championships, and taking the bronze medal in the 5000m in the 2015 Canadian Junior Track and Field Championships. She also represented Canada three times internationally in 2015 at the Pan Am Cross Country Running Championships in Colombia IAAF World Cross Country Championships in China, and the Pam Am Junior Track and Field Championships in Edmonton, where she won the silver medal in the 3000m in a personal best time of 9:41. Following in Benson’s footsteps, Martens left Grande Prairie in the fall of 2015 to continue her studies at Trinity Western University. The crowning achievement of the 2010-15 era, however, came in November 2014 when six Grande Prairie-raised women – Martens, Wigmore, Jackie Benning, Amanda Patteson, Kirsten Manz, and Karina Manz – captured the 2014 CCAA Cross Country Running Championship in Calgary. Placing four women in the top 11 (Martens- 1st, Wigmore – 4th, Benning – 8th, and Patteson- 11th) the GPRC women scored a meet record low score of 19 points, 53 points better than the second place team from SAIT. The team was similarly dominant in winning the 2014 ACAC Cross Country Running Championships and the 2015 ACAC Indoor Track title. The team was named the 2014 NW ASDC Team of the Year. On January 1, 2016 the club changed its name to the Peace Country Wolves Athletics Club to better reflect its scope and mission of developing athletes throughout the Peace Country.